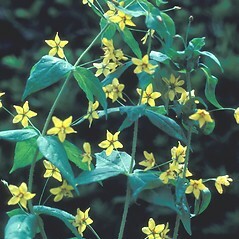 Whorled yellow-loosestrife is native to eastern North America, and grows in woodlands, clearings, sandplains, dry fields and roadsides. 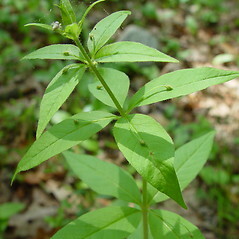 As the name suggests, the leaves are conspicuously whorled. 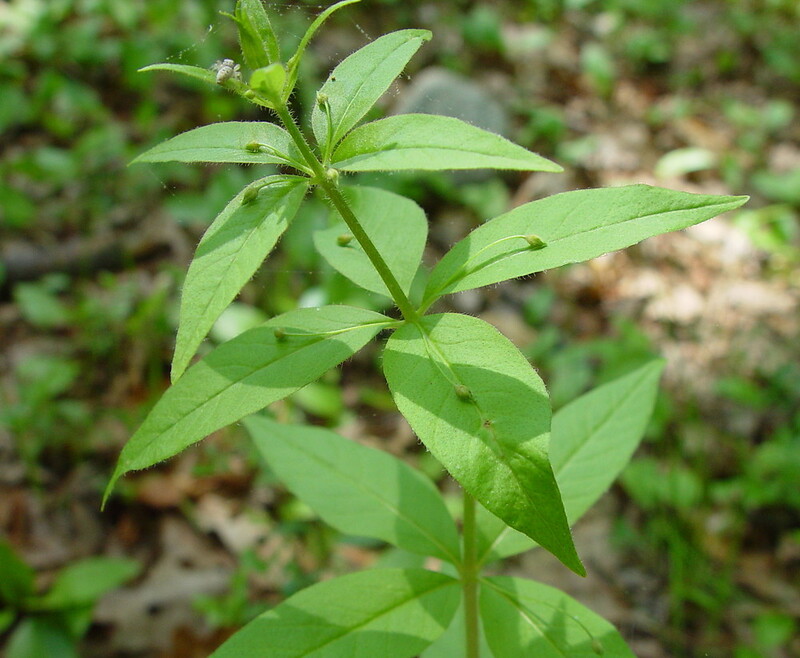 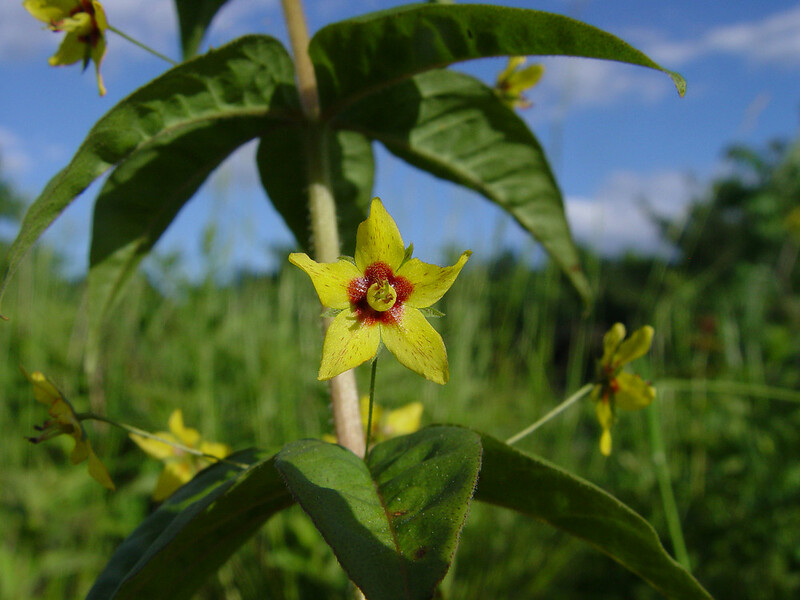 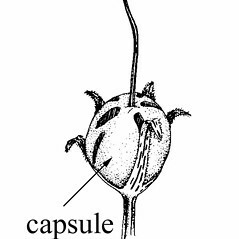 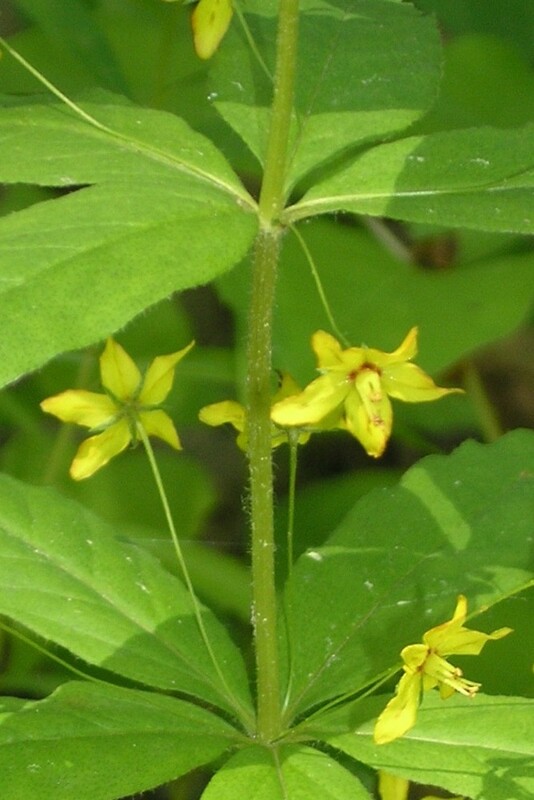 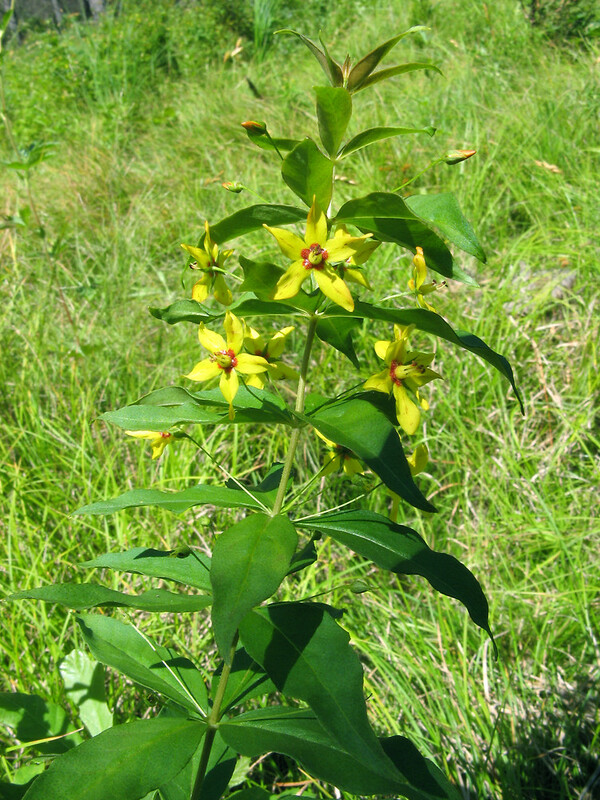 The Cherokee used this plant to treat kidney and urinary conditions. 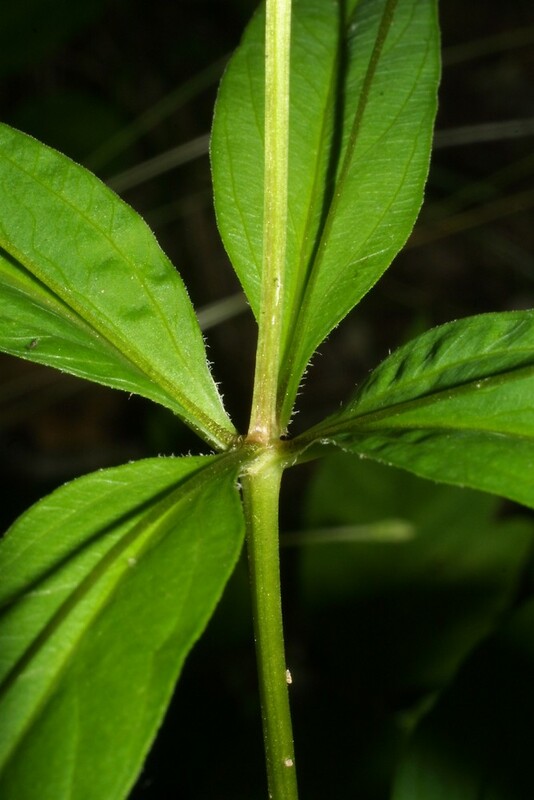 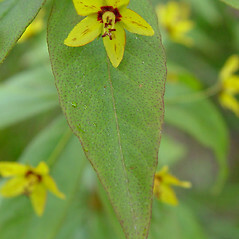 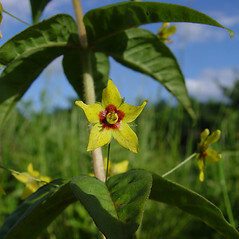 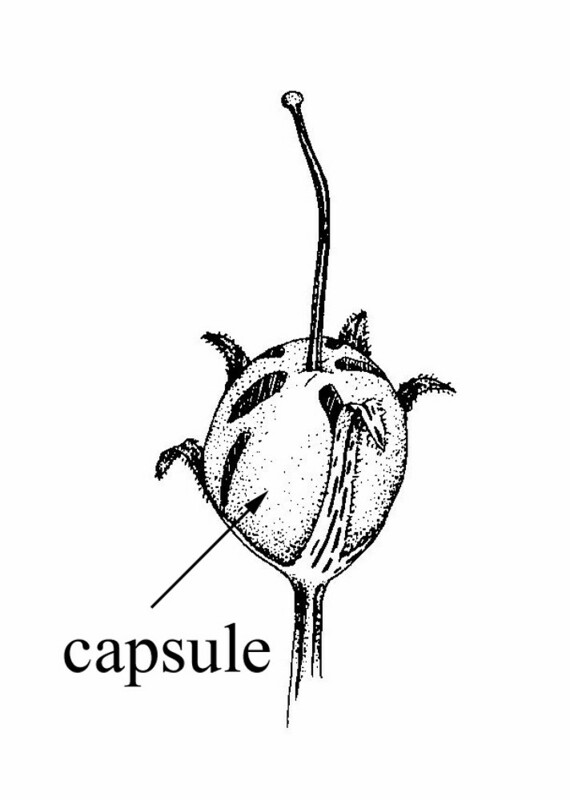 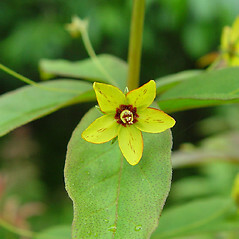 petals without black dots or streaks, flowers on stalks 10-20 mm long, and stems with abundant hairs (vs. L. quadrifolia, with petals dotted or streaked with black, flowers on stalks 20-50 mm long, and stems without hairs or with few hairs). 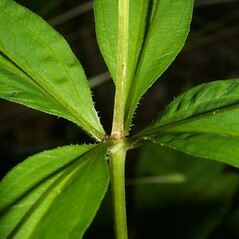 leaf blades not punctate, stamens alternating with staminodes, and lobes of the corolla erose on the apical portion of the margin, cuspidate at the apex (vs. L. quadrifolia, with leaf blades punctate, stamens not alternating with staminodes, and lobes of the corolla entire, without an apical cusp). 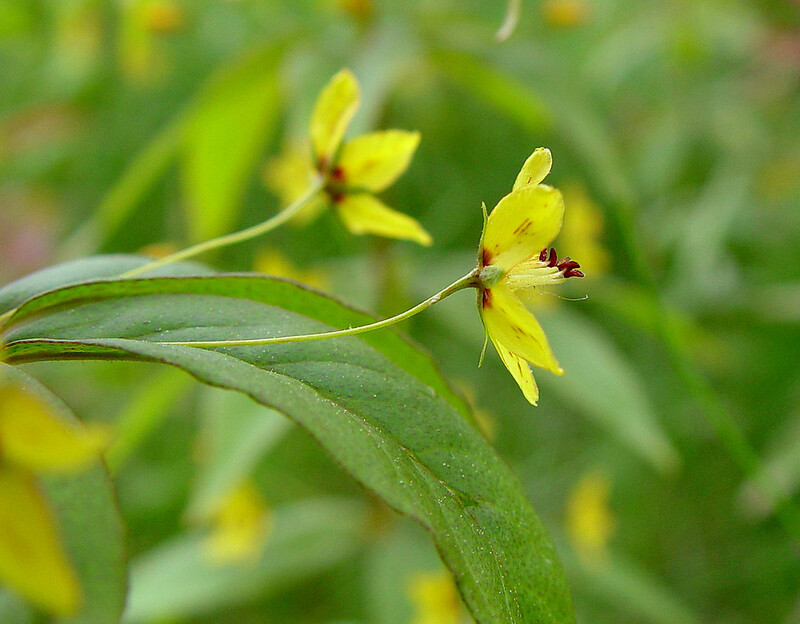 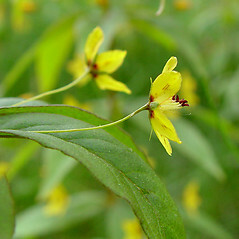 whorled yellow-loosestrife. 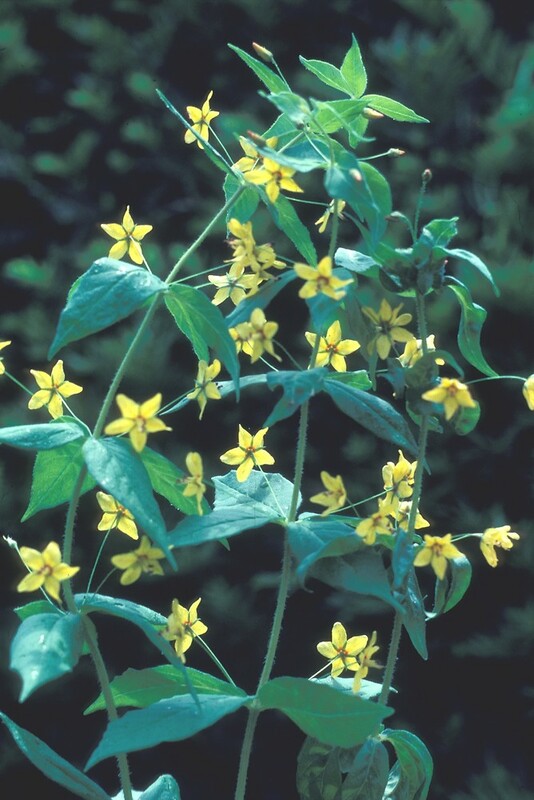 CT, MA, ME, NH, RI, VT. Woodlands, sandplains, dry fields and roadsides, clearings. 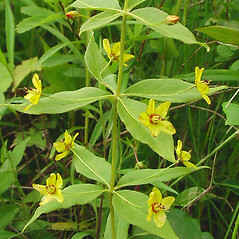 11×12. 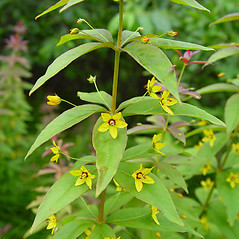 Lysimachia quadrifolia × Lysimachia terrestris → Lysimachia ×‌producta (Gray) Fern. 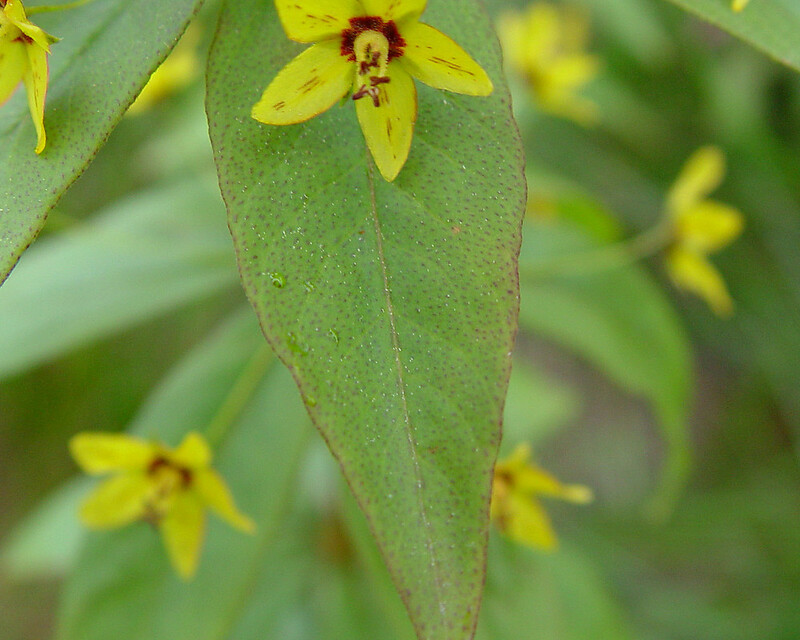 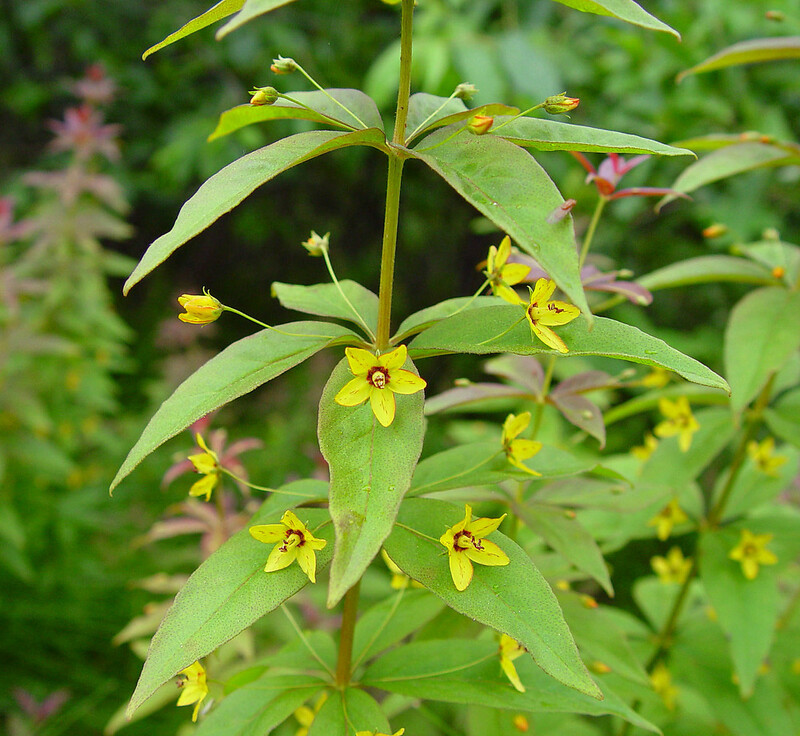 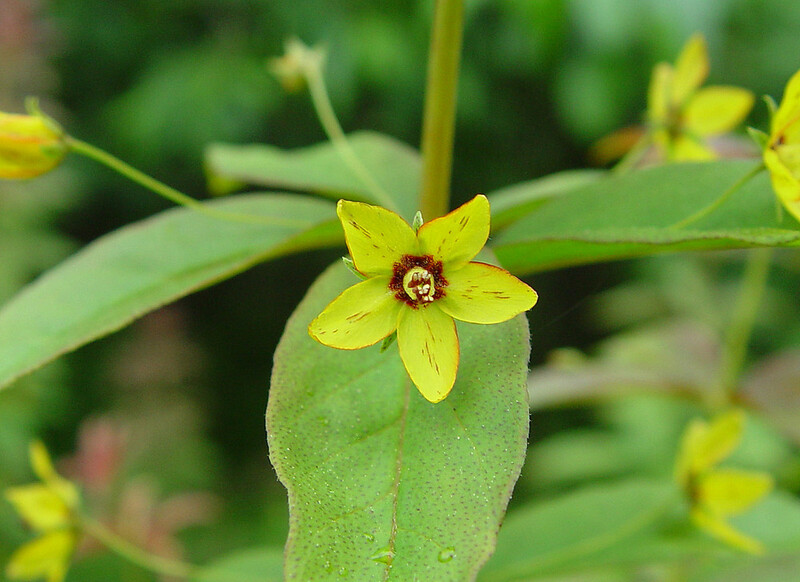 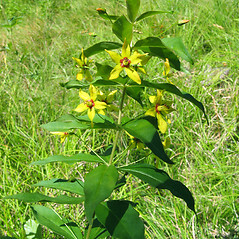 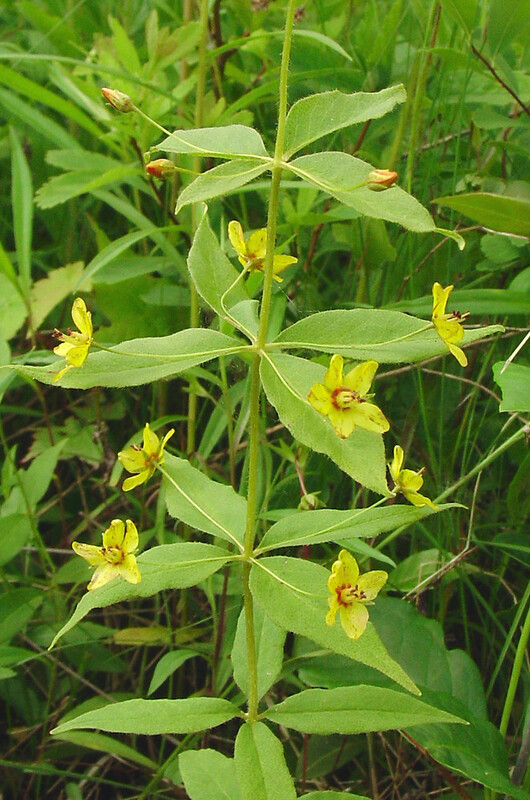 is an uncommon yellow-loosestrife hybrid that is known from CT, MA, ME, NH, RI, VT. 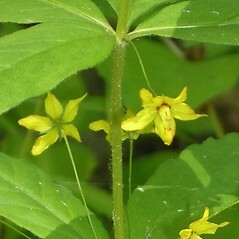 It most closely resembles L. terrestris; however, the lower bracts are larger, even foliaceous, and the hybrid shows longer pedicels (up to 30 mm long).